Joy Clair HUGS AND SMILES Clear Stamp Set clr01005 at Simon Says STAMP! Success, Joy Clair HUGS AND SMILES Clear Stamp Set clr01005 has been shared! This is a 4 x 6 inch clear photopolymer stamp set of 21 sentiments and images. Made in the USA. For reference, the flower cluster measures approximately 3.25 x 2.25 inches. 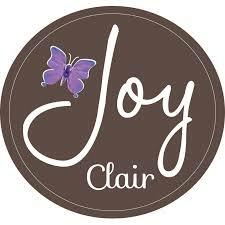 Two best friends who have been in the stamp manufacturing business for over 3 years founded Joy Clair. Christy and Amanda met when they both started working for Clearstamp by Craffiti, one of Americas Largest photopolymer stamp manufacturing companies. They bonded one day in the office and have been stuck like a clear stamp on an acrylic block ever since. Having a background in stamp manufacturing gives Joy Clair an advantage on maintaining stamp quality, as well turn around time. From paper crafting to mixed media, Bible journaling and back again, our clear stamps are perfect for just about any crafting project you have in mind. Joy Clair designs and manufactures their high-quality photopolymer stamps in Dalton, Georgia.